The journey has lasted a month and more than 2500 km. Louise D, Pauline, Cindy, Cécile and Louise B make up this proud equipped with hard-to-cook. On the handlebars of their Royal enfields they experienced a particularly adventurous raid on the slopes of northern India through Ladakh, Zanskar, Kashmir and Himachal Pradesh. A unique motorcycle trip to India! For these enthusiasts of beautiful vintage bikes, the adventure was intense. Although they were trained, they were far from suspecting the adventures that the Himalayas could provide. Punctuated by joys, great encounters, discoveries and galleys these two weeks allowed them to go to the end of their limits and to immerse themselves entirely in adventure. Accompanied by Johann Russelot and a Royal Enfield mechanic, they experienced an epic road trip. On their return they present a series of three videos relating their course. One imagines the consequent work of editing and choice of sequences among an incredible amount of moments lived, all richer. The result is worth the effort. You'd think it was. On a generic pique of the most girly series of the years 70, between funny ladies and Wonder Women, the crew tells us the color. They are far from having swapped their femininity against a gruff biker look. It is a radiant and bubbly team that we follow throughout these videos. 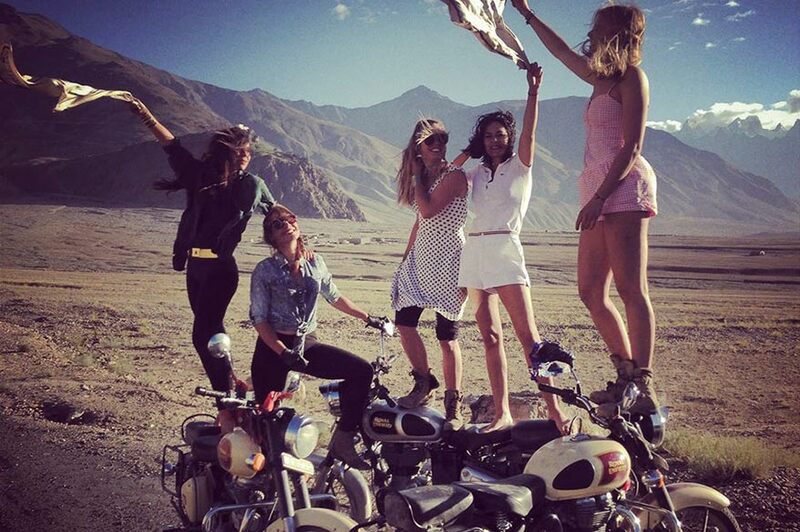 A very original journey led by solid adventurous that now resonate glamour and ride. The trip begins for our equipped in Manali at 1800 m altitude. 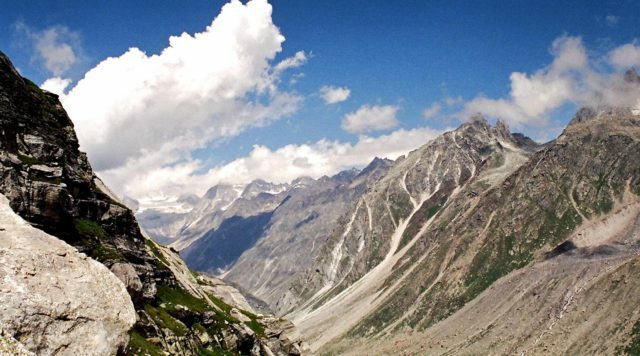 The first episode recounts the crossing of the Himachal Paradesh, a region north of India. The area is also called "Land of the Snowy Mountains" or "Land of the Gods". 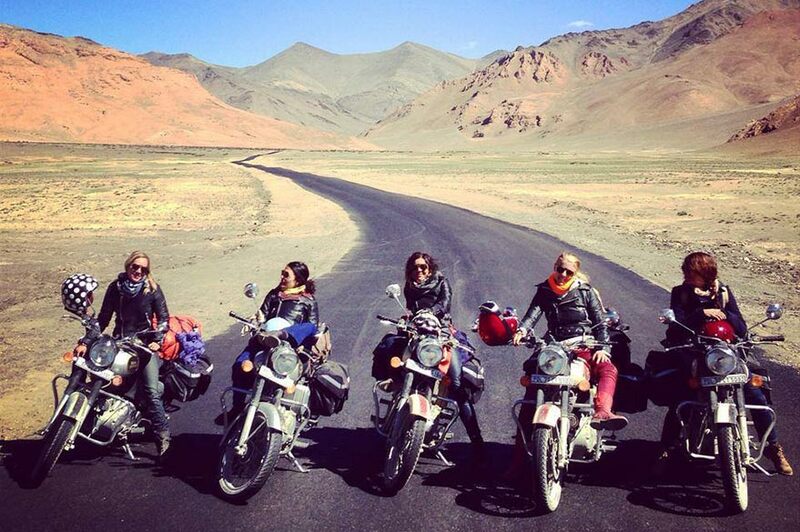 Our 5 adventurous penetrate the wild and mystical lands of the Himalayas. You can imagine the thrill of the big start when starting the kick starter. And the departure begins strong, between the weight of the Royal Enfield to manage, the steep roads with difficult turns, the ravines that line the track, the adventure is complete. After long days of ride, where improvisation counts as much as the reflexes of driving, our equipped is found in camps, lost in altitude and meeting the local people warm. Between mountain sickness and fatigue, these early days are not easy to collect. But we can only be bewitched by the magnitude of the challenge and the majestic Himalayan lands. The adventure continues with beautiful encounters in small, antiquated villages where time seems to have stopped. As we tell our adventurous, in altitude the time seems to stretch, the notions of distances and durations are found quite all over. It is not common for the people of the Himalayas to see five cannons on their proud mounts. In this male and rural environment where women have little rights, the five girls do not go unnoticed. The scenes that come out are quite comical: men amazed to see women embarked on such an adventure. Also often amused, the natives are delighted and curious to meet our riders. In the heart of the mountains the landscapes are "to cut the brain in four" as described by Louise D. In this very intense rhythm the beauty of the environment gives courage and energy to our equipped. Difficult roads do not put them off and they pass every step successfully. In the midst of thawing, they regularly find themselves crossing torrents or even real rivers, a real challenge of a good driving technique. After two weeks of runway, the dreaded Col de Sachs, rising to 4400 m above sea level, begins. The roads are poorly plotted and perilous in this unfrequented area, as Louise B tells us, "the road was impossible the rain, the cold, the pebbles and the precipice without parapet…" » . The runway is increasingly steep and the five adventurous must fly their Royal Enfield in stony, muddy slopes to reach their goal. Despite accumulated fatigue and mountain sickness, vigilance remains obligatory. An important step, that one follows the beating heart with this last video rich in adrenaline. This wonderful odyssey in the heart of the Himalayas will not have left the five daughters unscathed. Knowing for some little at first, the five girls were able to form a group of solidarity, a real equipped, which allowed them to go at the end of their journey. Happiness and strong friendships is what emerges from the adventure. An experience of ride but also an incredible human adventure. The story only seems to start for the equipped, who is already preparing a new adventure.